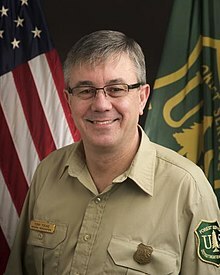 The chief of the U.S. Forest Service, Tony Tooke, resigned on Wednesday after allegations of sexual harassment against him surfaced. 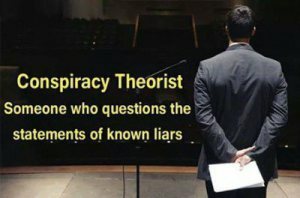 According to PBS NewsHour, which first reported the accusations, the Forest Service hired an independent investigator to look into allegations that Tooke had improper relationships with subordinates before he became the head of the agency. Tooke has worked for the Forest Service for nearly 40 years. Tooke did not specify what reports he labelled inaccurate. “There’s so much work to do in the field of sexual harassment and elsewhere that it was the right thing for him to do to resign so the agency can get back to work,” said Sharon Friedman, the editor of the New Century of Forest Planning blog, a hub for discussion of public land issues. Federal land management agencies have been slow to take action in recent years, as evidence of a widespread culture of harassment came to light. Agencies like the Forest Service and National Park Service, which have predominantly male workforces, have long standing issues of harassment and sexism and a history of not holding workers accused of harassment accountable. Reporting has found that agencies swept complaints under the rug by rotating employees and in some cases even promoted staff accused of sexual harassment. I know…that just took the prize. Be sure to frame the ‘thank you’ letter I’m sure you’ve received from NPR’s Newshour, who conveniently, this evening, took credit for all of this – as a result of their ‘fantastic’ reporting. Agree there is widespread sexual harrassment in many federal and state agencies, but not sure the “predominantly male workforce” premise is correct. I also believe very large numbers of instances of improper actions by superiors toward female employees is not ever reported at all. What impresses about this Land Management agencies issue is even though most cases there are probably not even reported, still the number that were reported must have been very high and prompted this publicity and this resignation. God bless all the brave women who did report their cases and I issue my heartfelt admiration and prayers for the hundreds if not thousands women who would not go along and were fired. RENO, NV – A former high-level employee at the Bureau of Land Management pleaded guilty Thursday in Washoe District Court to a sexual relationship with a young relative. 64-year-old Ronald Wenker will be sentenced in May to sexual assault and lewdness charges involving a minor under the age of 14. Investigators believe the relationship started when the girl was 8.